This is Popi, a dog made with flowers that stands in front of the Guggenheim Museum in Bilbao, Spain. This has been shot with my iPhone 4s. The app used to shot the image was Pro HDR, cropping and adjustments were done using Snapseed, further editing was done using Dynamic Light,Glaze, Vintage Scene and PhotoToaster. This is a country skyline in Spain. This has been shot with my iPhone 4s. The app used to shot the image was Pro HDR, cropping and adjustments were done using Snapseed, further editing was done using Glaze, Vintage Scene, Image Blender, ElastiCam and PhotoToaster. The photo has been selected as Daily Pic on P1xels: the Art of the iPhone. 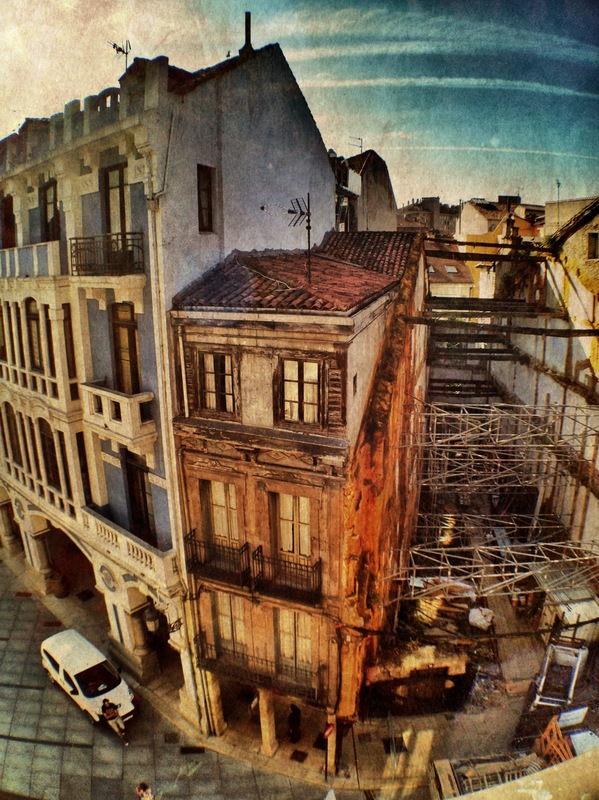 This is a view from a window in the city of Aviles, Spain. This has been shot with my iPhone 4s. The app used to shot the image was Pro HDR, cropping and adjustments were done using Snapseed, further editing was done using Dynamic Light, Iris and PhotoToaster. The Cathedral of Burgos in Spain. This has been shot with my iPhone 4s. This is a field of sunflowers in Marseillan, Languedoc (France). This has been shot with my iPhone 4s and the Olloclip wide lens. This is a sunset in Marseillan, Languedoc (France). This has been shot with my iPhone 4s and the Olloclip wide lens. This spiral staircase is in in the interior of the tower of Constance in Aigues-Mortes (France). This has been shot with my iPhone 4s and the Olloclip wide lens. This is the harbor of San Sebastian, Spain. This has been shot with my iPhone 4s and the Olloclip wide lens. This is San Sebastian, Spain. This has been shot with my iPhone 4s and the Olloclip wide lens. This is the tower of Constance in Aigues-Mortes (France). This has been shot with my iPhone 4s and the Olloclip wide lens.